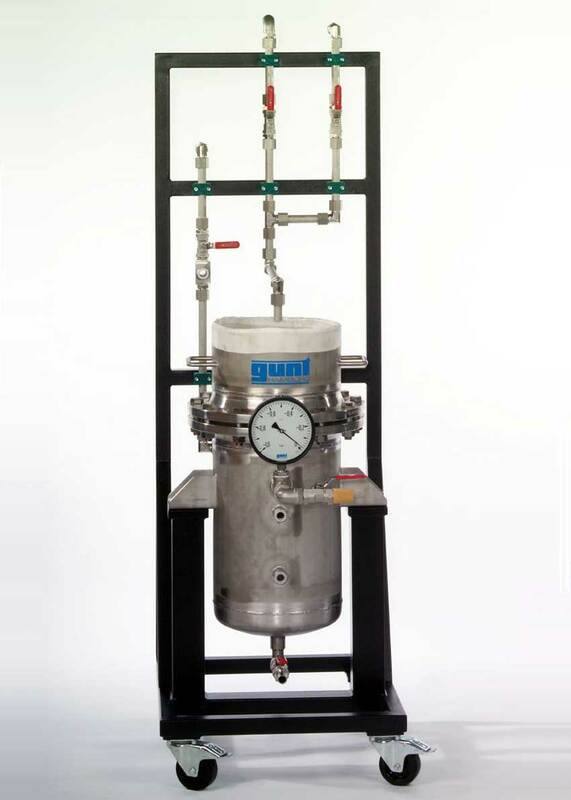 Nutsche Filters are used for discontinuous cake filtration of suspensions with high solid concentrations. The suspension production unit CE 285 produces a suspension of diatomite and water and delivers it from above into the Nutsche Filter. A filter bag is inserted in the Nutsche Filter. A growing filter cake accumulates in the filter bag made from the separated solid material. The vacuum in the bottom section of the Nutsche Filter draws filtrate through the filter cake and the filter bag. It is collected in the bottom section. After filtering, the filter cake obtained is washed with a washing liquid (water) and is dried by the applied vacuum before being removed. Site generate in 0.082 seconds.